With time the frequency of eco-conscious or green families is increasing. Consequently, the use of cloth diapers is also coming back in use. Healthcare providers and paediatric professionals suggest that cloth diapers are fairly superior in the maintenance of newborn health and wellbeing. With a whole range of options and cloth diapers available in the market today, it can be a bit overwhelming at times to wonder where to start from and how to choose the best cloth diapers. We certainly hope that the following guide may assist the new mothers as a good starting point, along with introducing new styles and brands to mothers who have mastered the cloth diapering and who wish to increase their collection. These diapers can be folded to mold according your baby’s shape and are held in place with the help of cover. They are big, rectangular shaped and the fabric is cotton. They are the cheapest diapers available and usually never leak as the cloth of the diaper is tailor fit, and the cover is an added barrier. In case the diaper gets dirty, the prefold must be removed and replaced using a clean prefold. It is a newly introduced variety of cloth diapers, and comprises of the similar type of covers like that of prefolds but utilizes an insert which does not need any folding. This comes in handy when the diaper is soiled by the baby and only the insert may be swapped out. All in one diaper looks as if disposable due to the interior fabric which is usually hemp or cotton, Velcro or snap closure and waterproof cover. These diapers work in the similar manner, only you don’t have to throw the dirty diaper away like the other types, you can simply put it the diaper pail for washing. Even when they are costly they come in handy in most of the cases. They have a cover similar to all-in-two or prefold; however underneath the fabric there is a slot present to tuck in any absorbent material which is most of the time cotton. After baby is done dirtying the diaper, you may take the cover off and wash the cover and insert both separately by pulling out the insert from the cover. These diapers are pretty much common but can be a little disgusting. It’s a cloth diaper which is one of the best-selling in several parts of the world. These diapers are adsorbent and trim. The three snap rows can be adjusted to small, medium and large size. These diapers are available in single sided adjustable insert along with a newborn insert smaller in size, used as a booster for extra overnight absorbency for babies who wet heavily. It is for babies weighing 7-35+ pounds but fits best for almost 12 pounds. It is the diaper of choice for overnight. Don’t miss the attractive part; they come in a range of pastel and bright colours. With BumGenius Freetime there’s no fuss or clutter, it comprises of overlapping attached inserts, yet it is an all-in-one diaper. The plus point is there is no stuffing system involved, hence ideal for a baby in day-care or families who are resistant to cloth diapering. There’s no need to remove the insert when dirty, and you don’t even have to sort or re-stuff once the diaper is completely cleaned. There’s also option for hook-and-loop closure or snap. 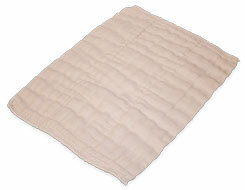 Bummis organic cotton prefold can be counted as yet another prefold best cloth diapers. 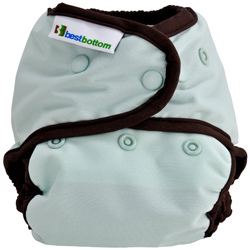 These diapers have great absorbing capacity and are economical when preferring cloth diapers. They are available in a range of sizes from preemie i.e. 4-9 pounds to infant i.e.7-14 pounds and baby i.e. from 15-30 pounds. The preemie size is available in 2x6x2 ply whereas the largest size comes in 4x8x4 ply. The detriment of these diapers is that they may shrink up to 20-25% after the first wash. 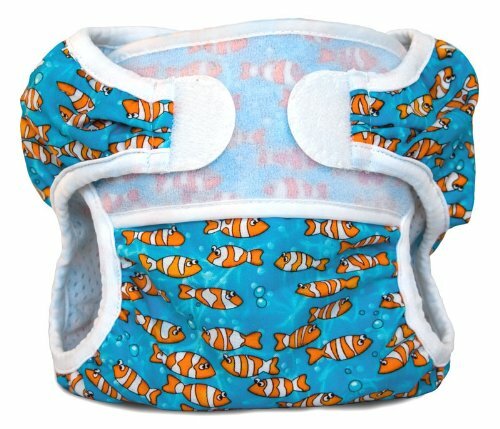 These diapers are available in five swimmingly cute fun prints. Swimmi is manufactured with careful attention and is prepared with all the love for the babies. It is certainly a good quality diaper. 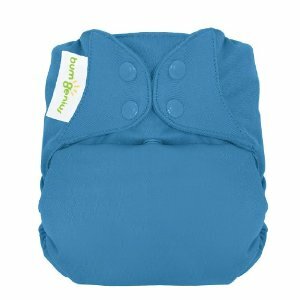 The components and fabric used in the Bummi Swimmi cloth diaper is guaranteed and free from BPA, phthalate, lead and other toxic chemicals. 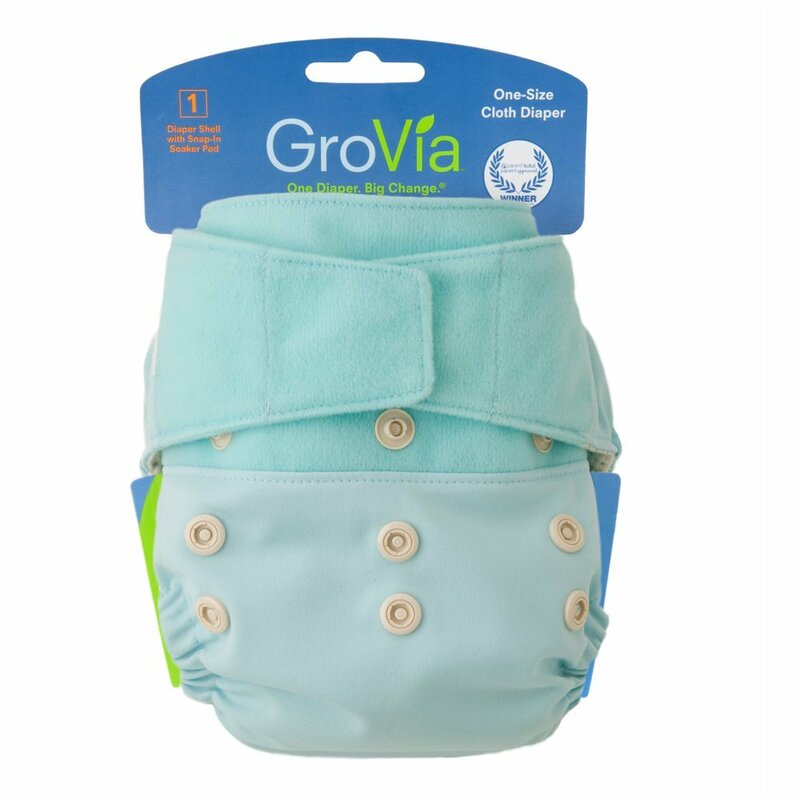 GroVia all-in-one diaper is all you need because the inner body of the diaper comprises of 100% organic cotton. Not to mention the fact that it is imported. It is available in trim one size that is capable of growing with the baby. The plus point is you do not require any cover. These diapers are designed as quick dry. The list of perks continues, as these diapers may be stretched for attaining the perfect fit. 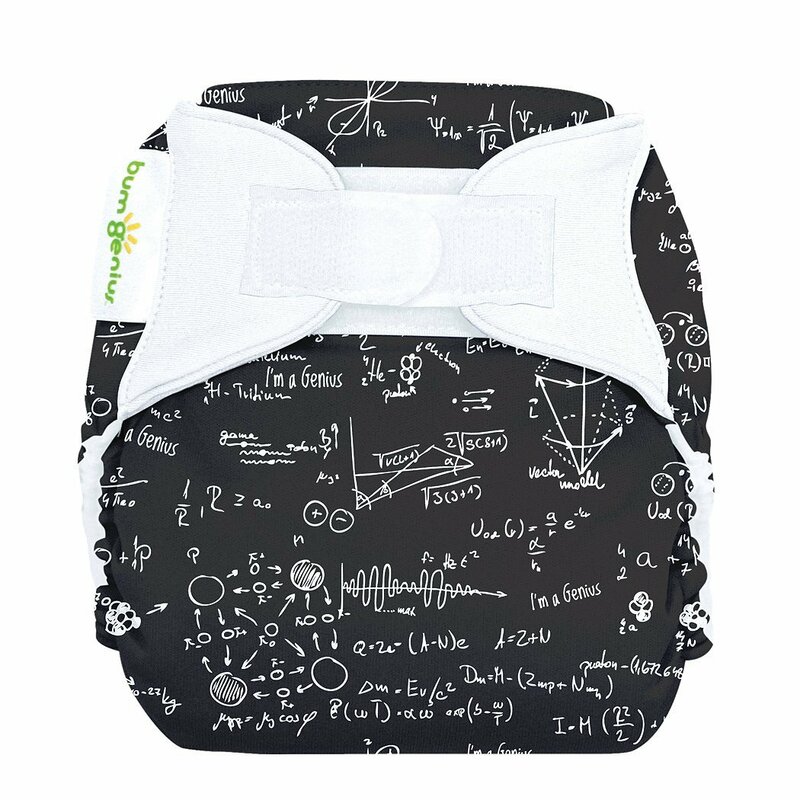 The unique available design of the diaper allows it to be fit for babies weighing 8-35+ pounds. Why is it a best cloth diaper? Best Bottom diapers have the trimmest cloth. You can choose three inserts of your choice: stay dry with 4 microfiber layers on top of which is moisture-wicking fleece; organic cotton/hemp with 5 organic cotton or hemp layers on top of which is a softer layer of fleece of same fabric; and overnight with 6 microfiber layers. Upon mere wetness of insert, it may be used until it is soiled. It is made to fit from birth to up to 35+ pounds. Buy the amount that is required for the baby use. The infants and newborns generally require 10-12 changes/day whereas toddlers require 8-10/day. Buy enough diapers that you have to do wash them up after every 2-3 days. After buying the new diapers, wash them thoroughly before use. 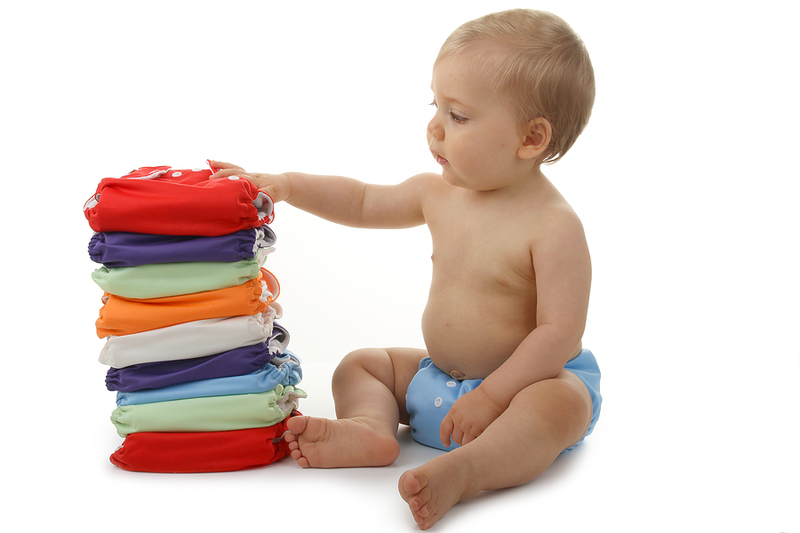 With the use of mild detergent and warm water, wash the cloth diaper before use. Change at regular intervals.Changing intervals depend upon your baby’s peeping and pooping habits. However you must change it after 2 hours unless the baby is asleep. Finding the right fold and getting it stay at its place may be very tricky initially. All you need to do is find a right fold as there are different folds that may be used using a pre-fold. Try using diaper covers as you won’t be needing pins and snaps with these. Plus they are available in a range of cute prints. Inserts must be removed from pocket diapers. Highest level of water allowed by washer must be used. Start with cold rinse, don’t use detergent. Followed by wash cycle on hot by adding ¼ cup of detergent. An extra rinse may be needed in some cases.